20th Century Business Model means they are currently operating as CASH ONLY and YOU Have Plenty of Upside as a Result! 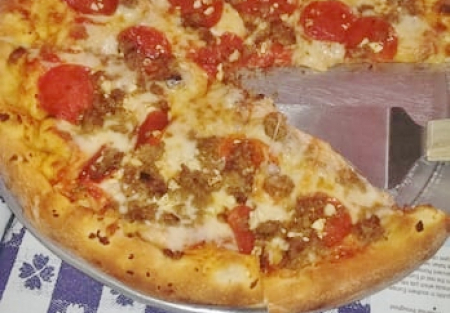 Located in the beautiful city of Thousand Oaks, also known as the heart of Conejo Valley, this well-established Pizza and Italian Restaurant been making great food for 22 years. And the Yelp reviews of 4+ stars certainly support this jewel! This restaurant is nestled in middle of a high traffic shopping center with a renown Healthy Food Market, Major Drug Store, Cell Phone Store, other restaurants, and much more. This Pizza and Italian Restaurant is close to many schools, including a major University and many mid to high-end neighborhoods. Many sports teams practice in very close vicinity to the location, as well. Current owner is looking to retire at 80 years old. Being an old-fashion business man, he opted to keep the business Cash Only to avoid credit card transaction fees as well as the social media ordering formats. This means the new owner has the opportunity for immediate sales increase by accepting credit cards for online and in store purchases. Currently, business is walking out the door upon discovering they are operating cash only. The foot traffic is there and yours for the taking! There is currently minimal social media and online presence. Delivery has minimum hours allotted to it (largely due to their cash only policy). Adding the ability to order online and increasing social media interactions could give customers the extra nudge needed to visit the location for the first time or increase their frequency of visits. With fixed costs already being paid, any increase in sales could yield a 50%+ profit margin. If you’re looking for an opportunity to not only be part of a wonderful community, but to reap the benefit of bringing an established restaurant into the 21st century, this location is for you! Click the “Sign NDA” tab and see if this family friendly restaurant has the advantages you are looking for to take a great location and make it even better. Yelp reviews 4 Star ++ Love Food! !